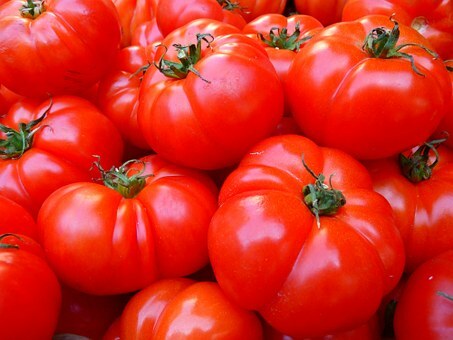 The Director General of the Raw Materials Research and Development Council (RMRDC), Dr. Hussani Ibrahim, says Nigeria currently spend N6 billion annually in foreign exchange to import tomato. Ibrahim, who was represented by the Director, Agricultural and Agro-Allied Department (RMRDC), Dr. Abiola Ogunwusi, disclosed this during the presentation of improved tomato seeds to vegetable farmers in Kaduna State, yesterday. With an estimated annual national domestic demand of tomato at N2.4 million metric tons, only about 1.7 million metric tons of tomato are produced annually, thereby, leaving a deficit of 700,000 metric tons due to cultivation of existing low yield varieties and high post-harvest losses. “The policy on import of tomatoes has stimulated the establishment of new and emerging processing plants as well as the revival of some hitherto comatose tomato concentrating plants,” he said. “Through these efforts, the loss of good quality tomato would be minimised and it is for this reason that RMRDC came up with the initiative to develop tomato across the value chain with a view to solving the challenge of raw materials deficit in the sub-sector, he said. He, however, urged the farmers to imbibe the lessons to be learnt from the training programme that will precede the presentation which is centred on best agronomic practices for the cultivation of tomato seeds. Mato, who was represented by Jummai Ambi, a Director in the ministry buttressed that the government of Kaduna State is happy to collaborate with anybody bringing value to the state.